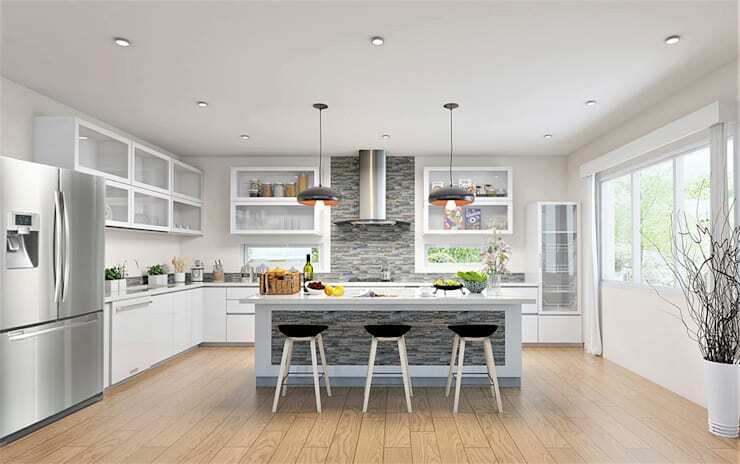 Nothing is better than coming home to a cozy and beautiful kitchen that will definitely feed you interior designing cravings, and the best way to satisfy your stylish taste buds is through a sleek, modern kitchen design. Modern kitchens are just something else -- they're trendy, modish, and really homey too. Today at Homify, we're featuring 7 lovely kitchen designs by our country's best professionals in the industry. Check them out! 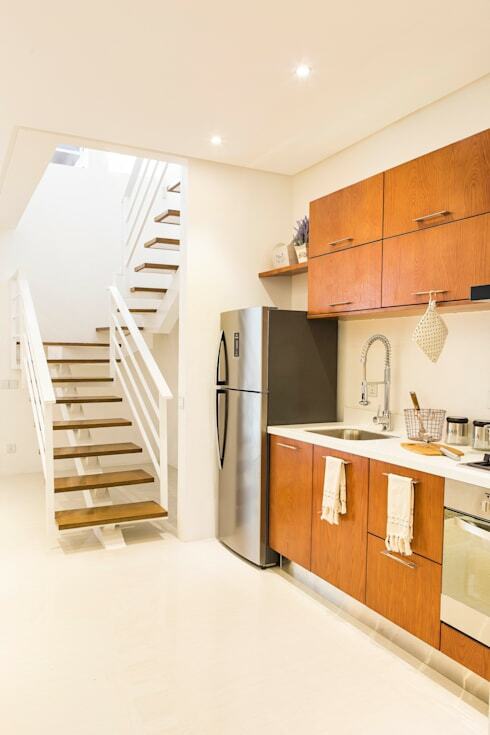 A featured unit in Tagaytay Southridge Estates, this sleek kitchen design boasts its pure modern appeal through its metallic touches. Utilities and appliances feature the shiny, scratch-free finishes while small touches of red add a pop of color to the industrial design. Nothing beats a good ol' set of fine wooden details for your modern kitchen. 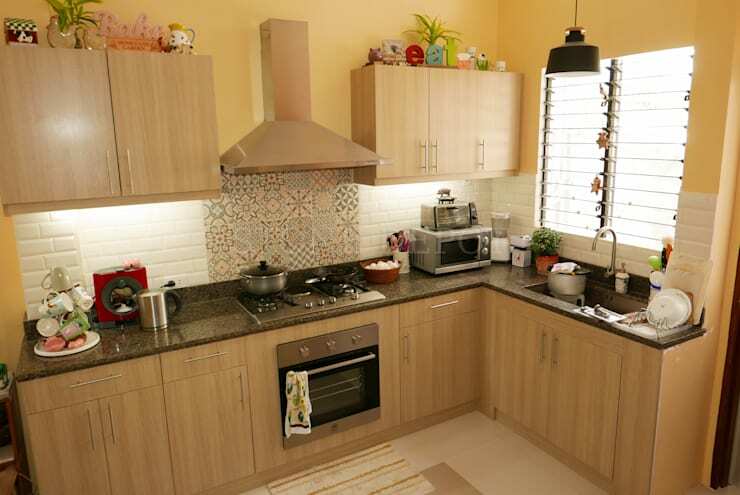 It provides a natural feel to the area, which makes any homeowner feel at its best when cooking or baking! 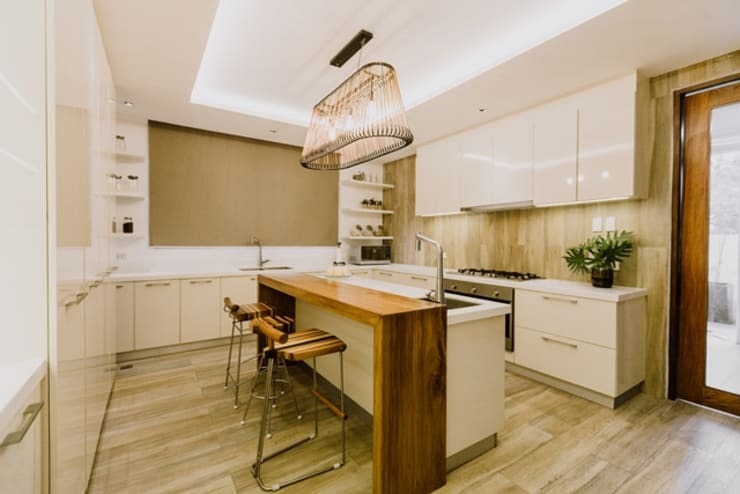 This simple kitchen design by Marilen Styles uses rustic wood for the cabinetry. Curious on the amazing designer behind this design? Check out this ideabook featuring Marilen Faustino-Montenegro, where she describes her style as not minimal, but more tastefully restrained! A kitchen island just seems to make any kitchen unit a little bit more glamorous than the average kitchen designs. This classy design highlights a lovely island in the middle of the area, with the feature of hard wood in a glossy finish. The palette also flaunts its neutral tones and crisp whites for that sophisticated overall touch. Shabby chic is an arising trend in interior designing and a new crowd favorite liked by homeowners! though we only see a portion of this kitchen design, it's purely evident that it shows off its light, pastel hues and a vintage-like appeal. Want the ultimate modern kitchen? Opt for the perfect modern and minimal combination of colors, white and grey. This power duo simply creates a sleek and modish look for any room, especially the kitchen. You can even add more textures and dimensions to the interiors like this design above. Grey-bricked accents add a touch of diversity to cut the monotony of the colors. 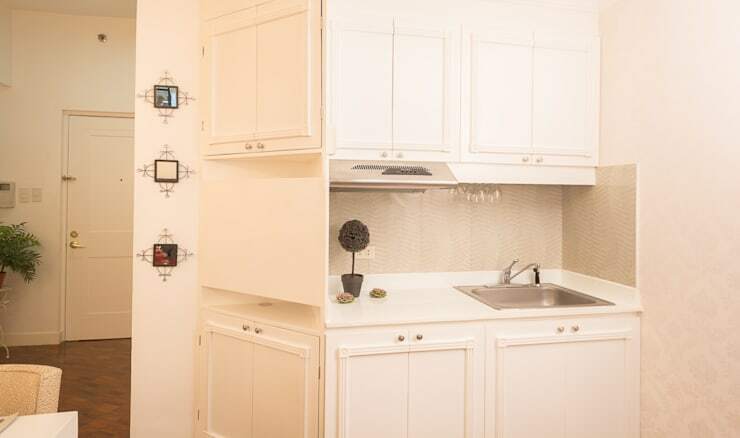 This neat and clean kitchen design clearly speaks to us that ’Simplicity is beauty, indeed’. 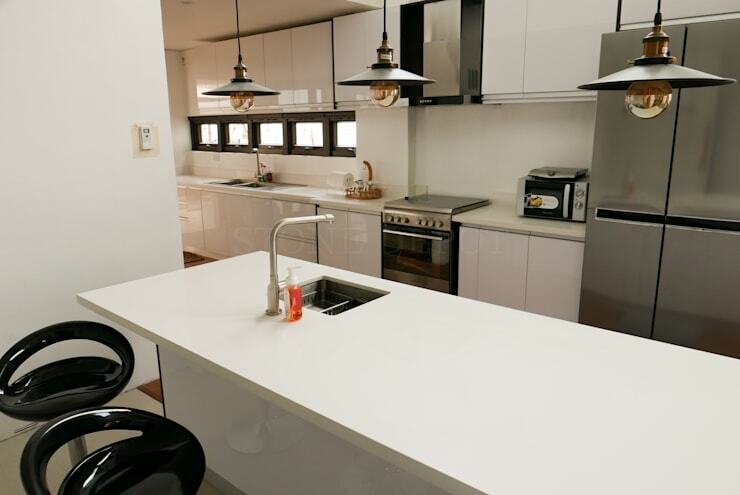 Stone Depot, a well-renowned supplier of Granite, Stone, and Marble in Cebu City, showcases this polished Moonstone Quartz kitchen countertop that's a total showstopper in this design. Who says country can't be modern? This kitchen design is such a breath of fresh air! The subtle palette of beiges, whites, and pale yellows blend perfectly. 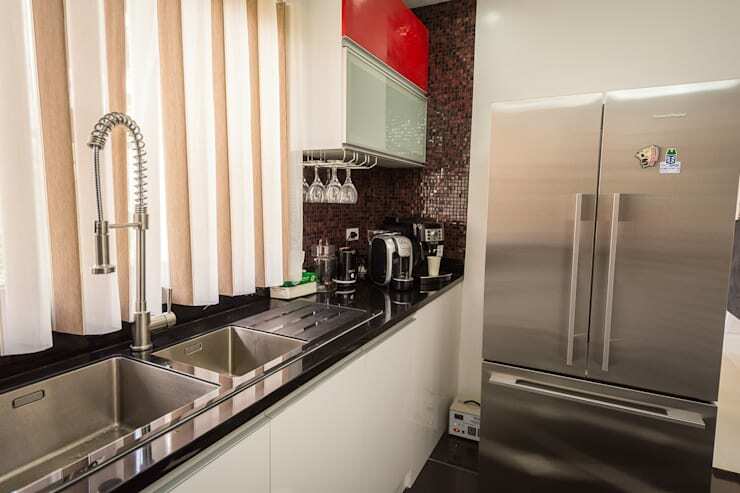 The black granite countertop also plays a vital contrast to the sweet design.